They'll learn in the future...But what will they learn? What is Curriculum for the Future: The Role Play Game? Curriculum for the Future: The Role Play Game is one in a series of three resources designed to generate thought-provoking conversations about learning and curriculum today and in the future. The game was originally designed for adults, but can be adapted for use with older students. 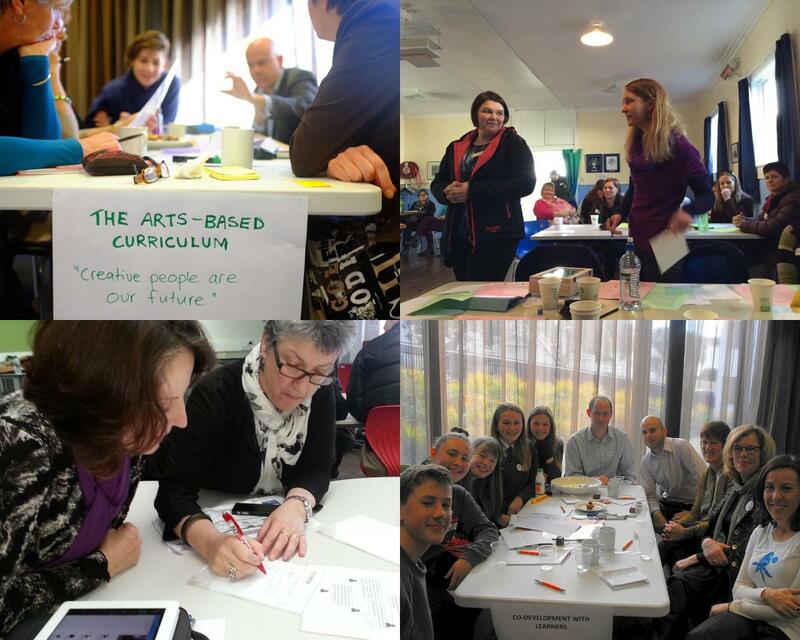 Curriculum for the Future: The Role Play Game invites you to take on responsibility for shaping the future of curriculum for young New Zealand learners. The game is designed to give players the opportunity to debate different curriculum ideas and possibilities. It is fast, fun, research-informed and low-tech. Players can try out ideas that might seem outlandish or unworkable in current real life. They can argue for positions that they may or may not really agree with or even fully understand. By thinking on their feet and listening to the ideas that come up during the game, players will gain insights into the complexities of curriculum design and development, and challenge their own thinking about the purposes of education and what schooling might be like in the future.